A West Michigan shoe company is supplying whole-house water filters to some residents affected by water contamination near Grand Rapids. Chris Hufnagel is with Wolverine Worldwide, the company believed to be responsible for the toxic chemicals, called PFASs, that were discovered in private drinking wells. He says the company decided to go further than single tap filters and bottled water. “Offer every home that has come in with elevated levels above the EPA advisory for PFASs to offer them whole house filtration systems, and we're mobilizing that right now,” he said. Hufnagel says the company decided to offer filters after listening to community feedback at a town hall meeting last month. "We listened to their concerns about single tap filters and bottled water not being adequate for these homes," he said. Hufnagel says about 14 homes tested above the EPA advisory for PFASs, which is 70 parts per trillion. Brian Hartl, an epidemiologist with the Kent County Health Department, says about eight health effects are correlated with PFASs. According to Hartl, these chemicals can cause thyroid gland malfunctions, elevated uric acid levels, high cholesterol, elevated levels of liver enzymes, hypertension during pregnancy, colitis and more. “And there are two forms of cancer, testicular cancer and kidney cancer, all of those have been potentially associated with this exposure,” he said. Hartl says it's too soon to say if anyone in the area has definitely been affected by exposure to these chemicals. “There just hasn’t been enough data collected to say that these chemicals for sure caused cancer or any of the other associated health outcomes. It’ll take some time before we can say for certain,” he said. Hartl did caution against residents getting blood tests. “Blood testing can show there are PFASs in your system, but it won’t tell you where it came from or if any of the health issues you have were caused by it. It won’t be as helpful as these people want it to be right now,” he said. Correction: This story has been changed to reflect that the company Wolverine Worldwide has not been officially confirmed as the source of the water contamination. Instead, state and county health officials believe it is the cause. 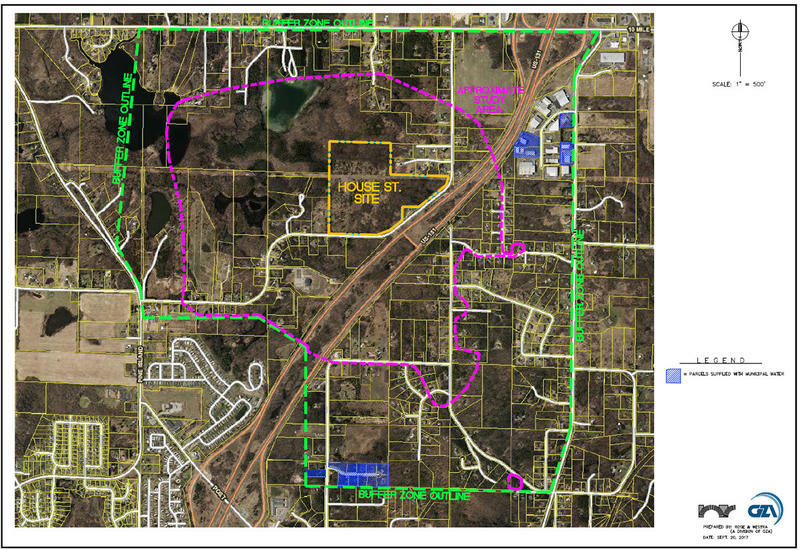 The shoe manufacturing company believed to have contaminated groundwater in two West Michigan communities still doesn't know exactly how it happened. Chris Hufnagel is with Wolverine World Wide, the shoe company believed to be the source of the toxic chemicals. 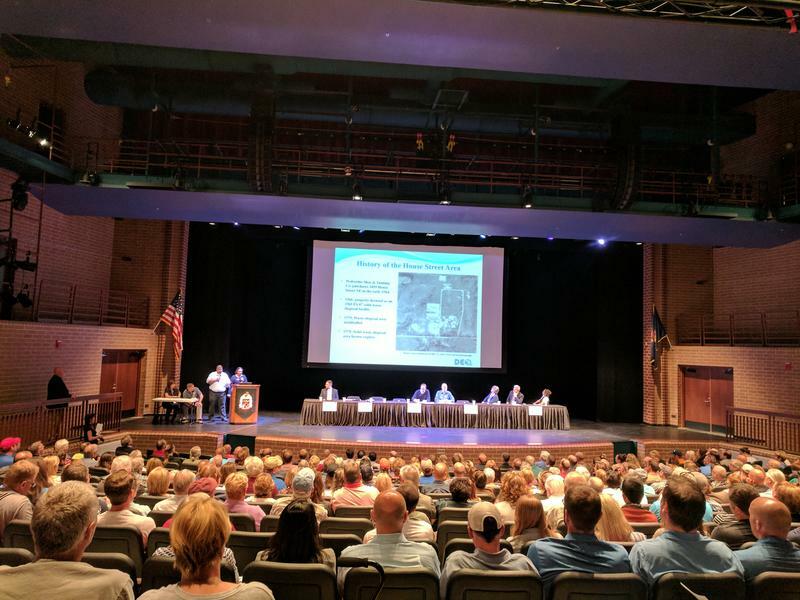 Uncertainty lingers in West Michigan following an informational town hall meeting about contaminated well water. State and county health official know the toxic chemicals discovered in Belmont and Plainfield Township are often used in leather goods. Stateside's conversation with David Andrews, senior scientist with the nonprofit Environmental Working Group. 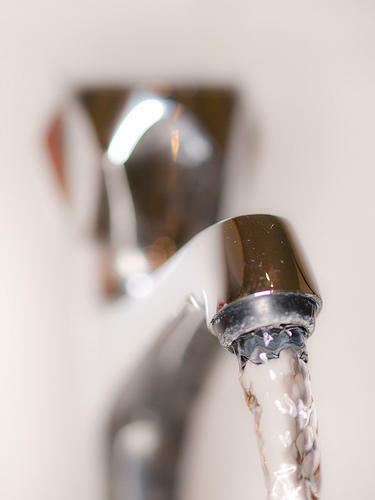 Grayling water officials announced in July they had found trace amounts of perfluorinated chemicals, or PFCs, in the municipal water supply. The levels are nowhere near the concentration of PFCs considered to be a health hazard by the Environmental Protection Agency. David Andrews, senior scientist with the nonprofit Environmental Working Group spoke with Stateside to help us understand this mysterious family of chemicals and explore exactly what the news means for the Grayling area.